The study of active galactic nuclei is undergoing a renaissance with the recognition that the growth of black holes and the accompanying release of accretion energy may have profound consequences for structure formation in general. Black holes and their manifestation as active galactic nuclei are now considered to be integral components of the life-cycle of galaxies. At the same time, the advent of a variety of state-of-the-art instrumentation, both on the ground and in space, has led to vast improvements in the quality and quantity of data being gathered across all wavelengths. The phenomenology of AGNs is richer than ever. Within this context, it is important to reexamine the physics of active galactic nuclei in a context framework. This meeting, held in Xian China of 16-21 October 2006, focuses on the classical components of the central engine of active galactic nuclei: the black hole, accretion disk, jet, outflow/wind, broad-line region, torus, and narrow-line region. We also highlight particularly important processes related to dust grains and star formation in the central regions of galaxies, ending with a forward-looking appraisal of new instrumental capabilities on the horizon. Whenever possible we attempt to address the physical properties of the components of the central engine, rather than on phenomenology alone. 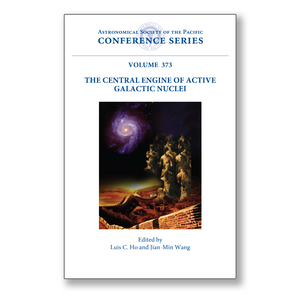 It is hoped that quantitative studies of the central engine will ultimately lead not only to a better understanding of the active galactic nucleus phenomenon but also to deeper insights into the manner in which active galactic nuclei affect their host galaxies and their larger cosmic habitat.